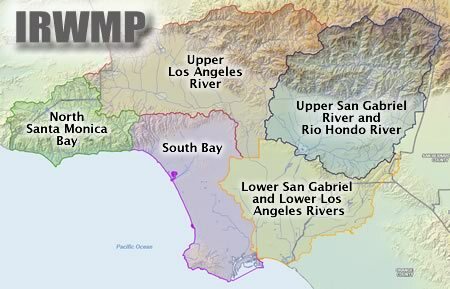 The Greater Los Angeles County Region have collaborated to develop an Integrated Regional Water Management Plan (IRWMP) that focuses on water resource management while creating a platform for future funding. The Greater Los Angeles County Region is comprised of the above five Sub-Regions that span from Ventura County to Orange County, including portions of both counties, and from the Pacific Ocean coastline to the San Gabriel Mountains --- an area of over 2,200 square miles. The Region represents approximately nine million people.